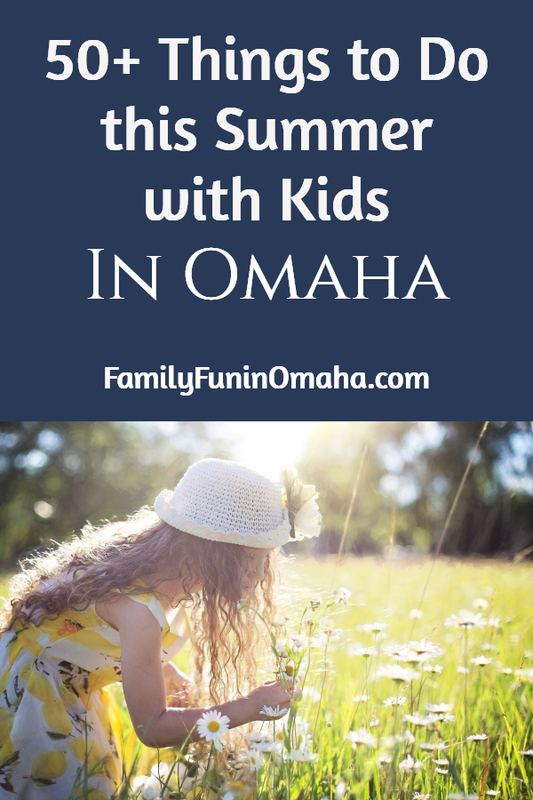 Summertime is FULL of things to do with kids in the Omaha Area! Enjoy an adventure-filled summer full of memories and experiences with this Omaha Summer Fun Guide! 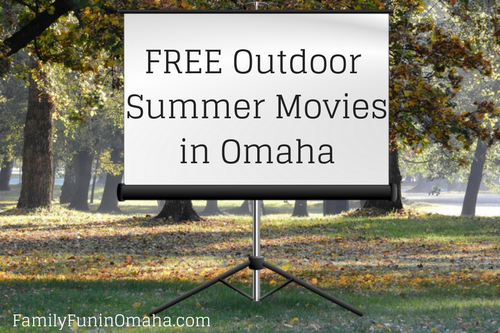 Discover Free Summer Activities in Omaha including movies, concerts, fishing events, spraygrounds, and more! 1. Discover 10+ Things to Do over Memorial Day Weekend in Omaha including Salute to Summer Festival in La Vista, Summer Reading Kick-off Parties, Take Aim at Summer at Platte River State Park, and much more! 2. 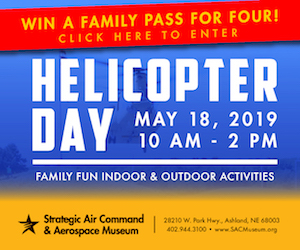 (May 26th) – See helicopters land right in front you at Helicopter Day at The SAC Aerospace Museum. 3. (May 25 – 28) – Experience a week of FREE events at Loessfest, including Water Feature Grand Opening, Movie Night, Fireworks, Disney Night with Choo Choo Soul, and more. 4. 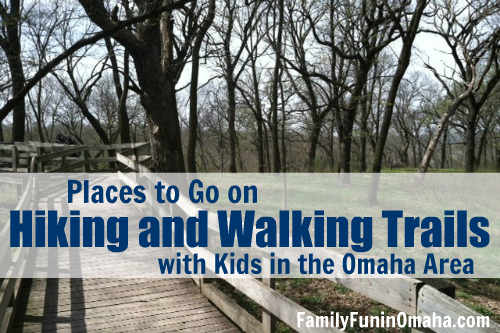 Venture on a hiking or walking trail in the Omaha area. 5. Play in the special Summer Exhibit Nickelodeon’s Teenage Mutant Ninja Turtles™: Secrets of the Sewer (May 26 – September 2) at the Omaha Children’s Museum. 6. See American Adventure (Through July 29) at The Durham Museum. 7. Watch a parade at a local Community Celebration. 8. Experience the NEW Rockin’ Rapids and enjoy the rides and waterpark at Fun-Plex. 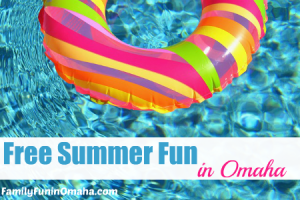 DISCOUNT OFFER: Save 25% off day tickets until June 30th with Code JUNEFUN2018 for Family Fun in Omaha readers! Online Sales only. 9. 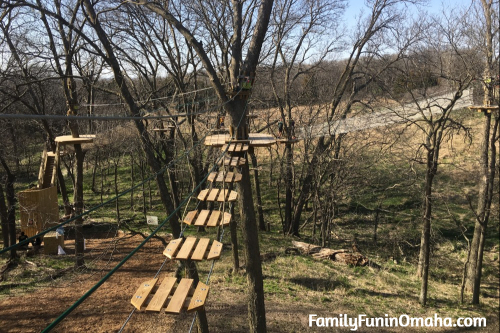 Try to NEW Go Ape Treetop Adventure Course at Mahoney State Park! 10. 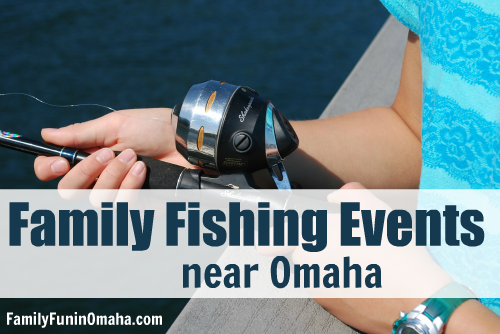 Bring the kids fishing at one of the Free Family Fishing Events. 11. Explore the FREE ArtWorks interactive space at Joslyn Art Museum. 12. 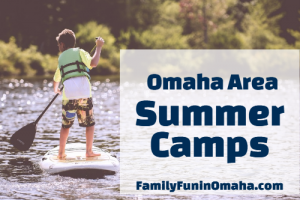 Go to a FREE Outdoor Movie at Loessfest, Sumtur Amphitheater, Midtown Crossing, Flix at the Chef in Elkhorn, Bayliss Park and Roberts Park in Council Bluffs, or Camp Fontanelle. 13. Go bowling with the Kids Bowl Free program. 14. Go on a scavenger hunt across Nebraska (including several stops in the Omaha Area) and particpate in the FREE Nebraska Passport program. 15. 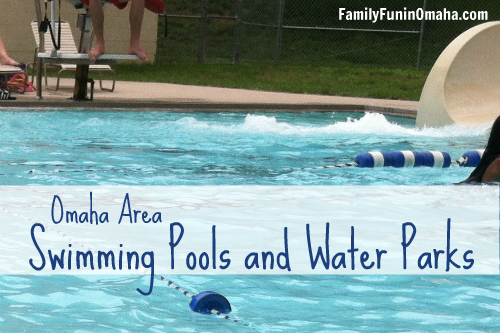 Swim at many Pools or Waterparks in the Omaha Area. 16. (June 1 – June 17, 2018) – See Disney’s Newsies at the Rose Theater. 17. 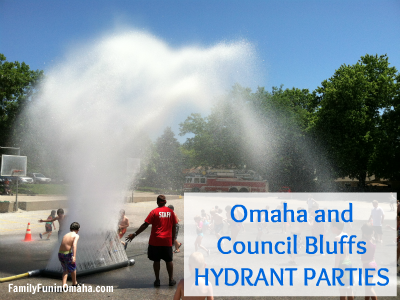 Walk around Heartland of America Park and see the beautiful fountain. 18. Splash in a Hydrant Party. 19. See a movie at the Drive-In Theater at Falconwood Park, including many family-friendly titles. 20. 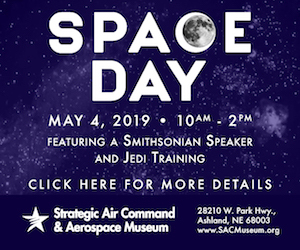 Register for a Free Program at Do Space including Littles Lab, Big Littles Lab, Junior Makers, and classes for adults. 21. 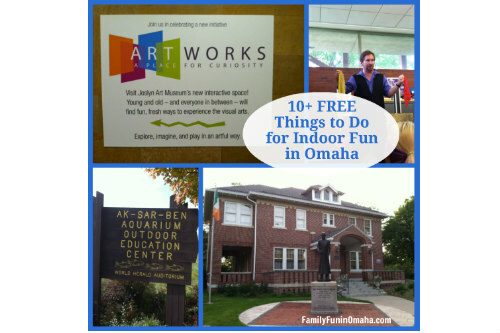 Find 10+ Free Things to Do Indoors on those hot or rainy days. 22. 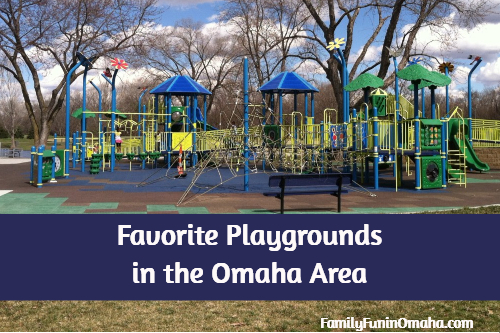 Explore many parks and playgrounds including the Adventure Playground at Lake Zorinsky and Benson Park. 23. Slide down the slides at the Zorinsky Aquatic Center. 24. 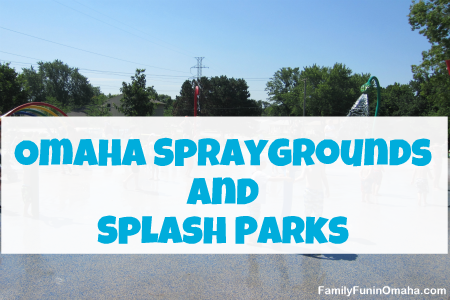 Splash in many of the 20+ Spraygrounds and Splash Parks! These are perfect for days when we have nothing else planned. 25. 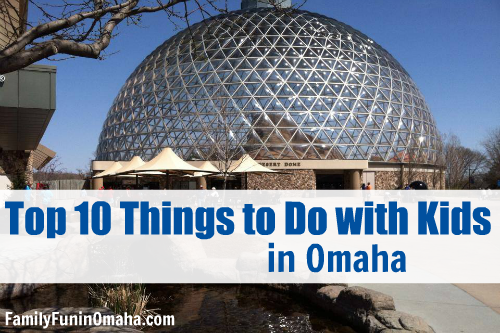 Play in the Children’s Adventure Trails, see the elephants at the African Grasslands Exhibit, splash in the Alaskan Adventure Spraypark, and see an IMAX show at the Omaha Zoo. 26. Collect several impressions in the Nebraska Great Park Pursuit. 27. 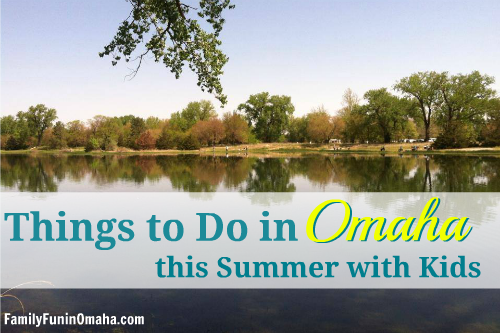 Enjoy many of the FREE Summer Activities in Omaha. 28. Go down the slides at Splash Station in Fremont. 29. Build at a Free Kids Workshop at Home Depot. 30. 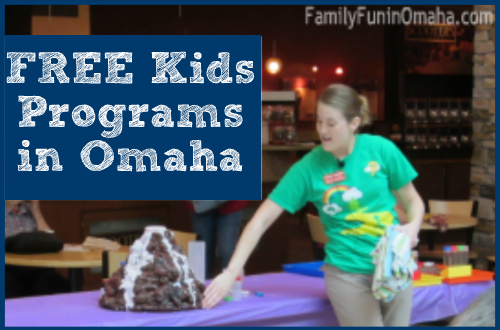 Participate in one of the Kids Clubs at various locations around Omaha. 32. 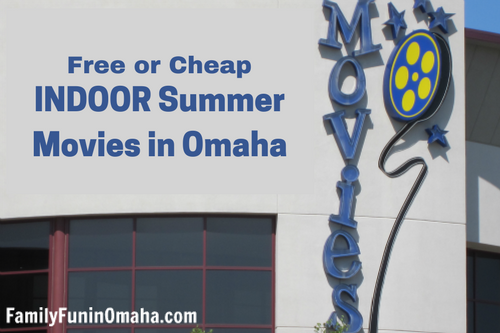 See a FREE or Cheap Indoor Movie at Regal Cinemas, Marcus Theaters, Libraries, or Alamo Drafthouse Cinema. 33. 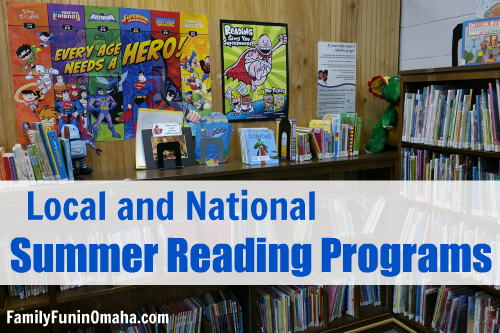 Join the Summer Reading Program at many Public Libraries, and participate in many of the fun events they have all Summer. 34. Play in the big indoor play area at Mahoney State Park. 35. Explore the Old Market and slide down the slides in Gene Leahy Mall. 36. Participate in one of the many Summer Camps. 37. Hike the waterfall trail at Platte River State Park. 39. 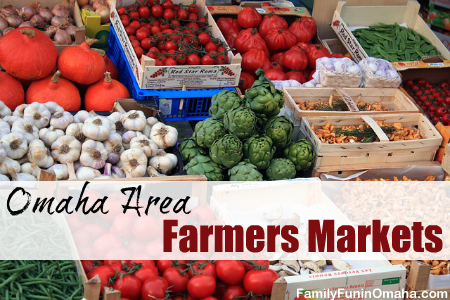 Visit a local Farmers Market. 40. (June 15 – 26/27) – Participate in the CWS FanFest and watch a CWS game. 41. Drive through the Wildlife Safari Park and hike on some of the trails. 42. 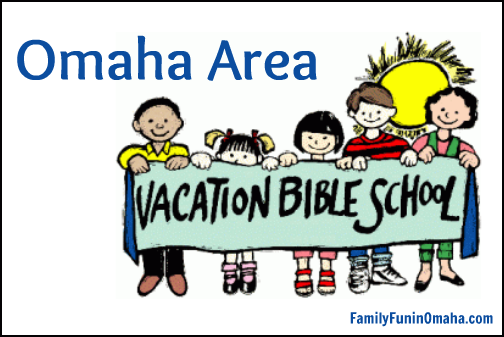 Participate in a Vacation Bible School. 43. 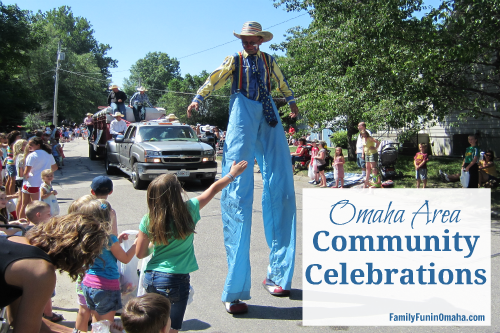 Participate in one of the many programs including Open Gym at Omaha Community Centers. 44. 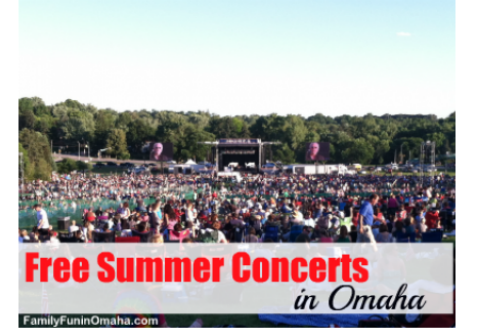 Attend a Free Summer Concert at Aksarben Village, Midtown Crossing, Shadow Lake, Village Pointe, Bridge Beats, or one of the many other locations. 45. (June 29) – Join the huge Metro Credit Union Celebrates America Concert and Fireworks at Memorial Park. 46. 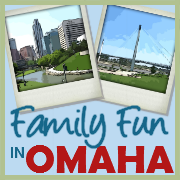 Explore many of the FREE Things to Do with Kids in Omaha. 47. Hike at Fontenelle Forest. Plus, members of Omaha, Council Bluffs, and Bellevue Public Libraries can check out passes to Fontenelle Forest! 48. 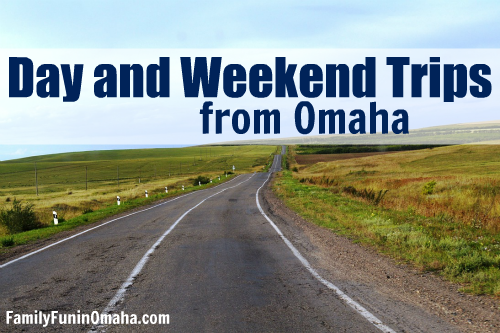 Take a Day Trip from Omaha to Brownville, Plattsmouth, Lincoln, and more. 49. Explore Hitchcock Nature Center. 50. Walk across the Bob Kerrey Pedestrian Bridge. 51. Save on fun at several local attractions with discounts. 52. Make a craft at Michaels or Lakeshore Learning Store. 53. (July 14 – 15) – Visit 5 local attractions including Lauritzen Gardens and The Durham Museum during Railroad Days. 54. 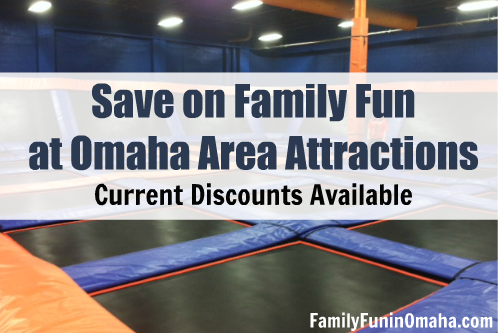 Discover many Indoor Play Centers in the Omaha Area that provide a great option for active play during rainy or hot summer days with Trampolines, Bounce Houses, Warrior Obstacle Courses, Open Gym Time, Indoor Pools, and more! 55. Try a new place for Ice Cream or Shaved Ice! 56. Challenge your kids in a game of FootGolf at these locations in Omaha! 57. Rent a Kayak or Stand Up Paddleboard for a fun day out on the water. 58. Play a game of Mini Golf at a variety of indoor and outdoor locations. 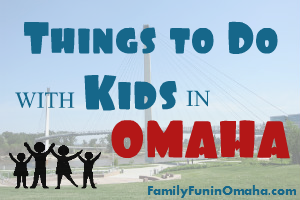 Find many more Things to Do with Kids in Omaha here or Top 10 Things to Do with Kids!